join US IN SEPTEMBER DURING THE NEXT EDITION OF THE FITE “DEVIATION” IN CLERMONT-FERRAND, FRANCE. 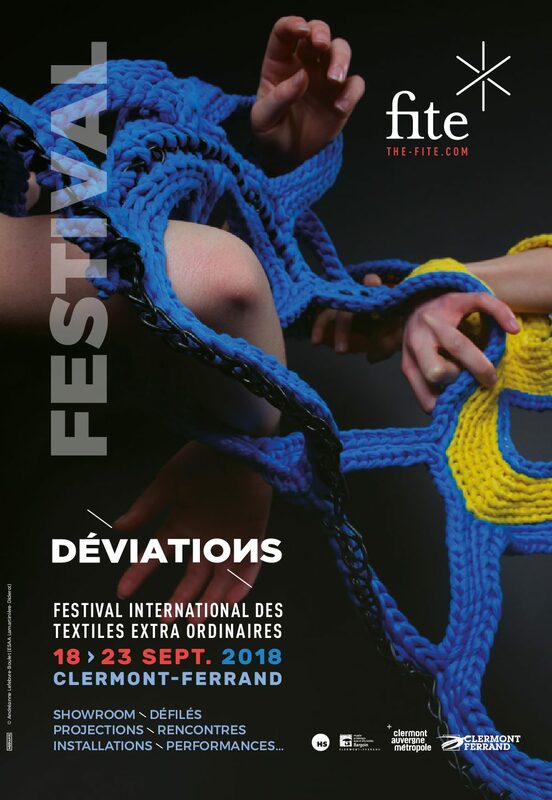 For the 2018_2019 edition of the FITE, the exhibitions presented in the museum Bargoin and during the Festival will explore the textile and human’s “deviations” both by the transgression of the law and the summoned roles but also thanks to the human knowledge traffic. This deviations can provoke disorder by creating hybrid items or meeting but they can also bring to the transcendence which connect Humans beyond their differences. The exhibition will be available from 29th of june 2018 to 6th of january 2019 at the museum Bargoin. The Festival will be set up from 18th to 23rd of september 2018. Meeting, debates, fashion show, projections and more will bring to life the town center of Clermont-Ferrand, its neighbourhood and numerous municipalities of the new metropolis. Romania will welcome the 2019 international edition of the FITE/Deviations.